This seems like a pretty interesting concept. Ever since the Kanye West & Louis Vuttion sneakers debuted, new pieces of Louis Vuitton have been popping up online. 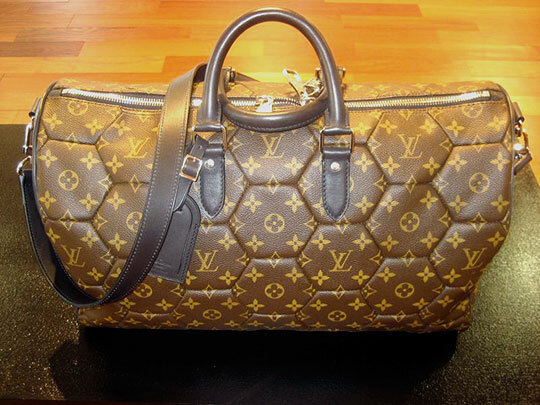 Here is a Louis Vuitton Soccer monogram duffel bag. The Soccer bag should hit stores in the summer.